In the city’s 151st year, Ipswich showcased its rich multiculturalism in the Global Fiesta at Queens Park on Sunday. The fiesta featured live entertainment from local bands, Australian Idol contestant Ngaiire, youths from an Indigenous Hip hop and RnB crew, other cultural performances, line dancing, food stalls, workshops, displays and amusement rides. 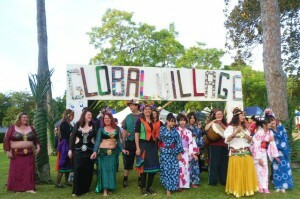 Between the two main performance areas, the Global Village and Global Stage, an abundance of food stalls, information booths and small demonstrations kept everyone happy. According to one line dancer, “it’s a good family fun day that embraces and promotes multiculturalism in Ipswich”.